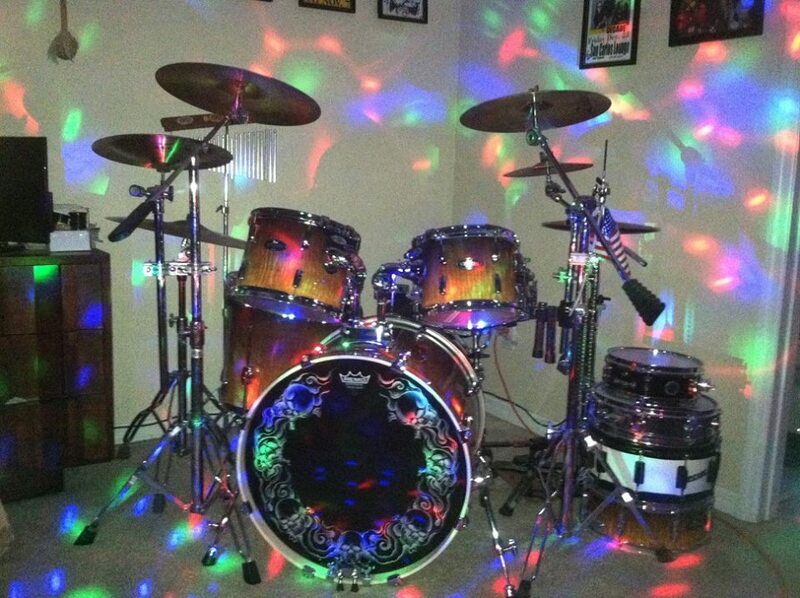 I currently own three complete drum sets. 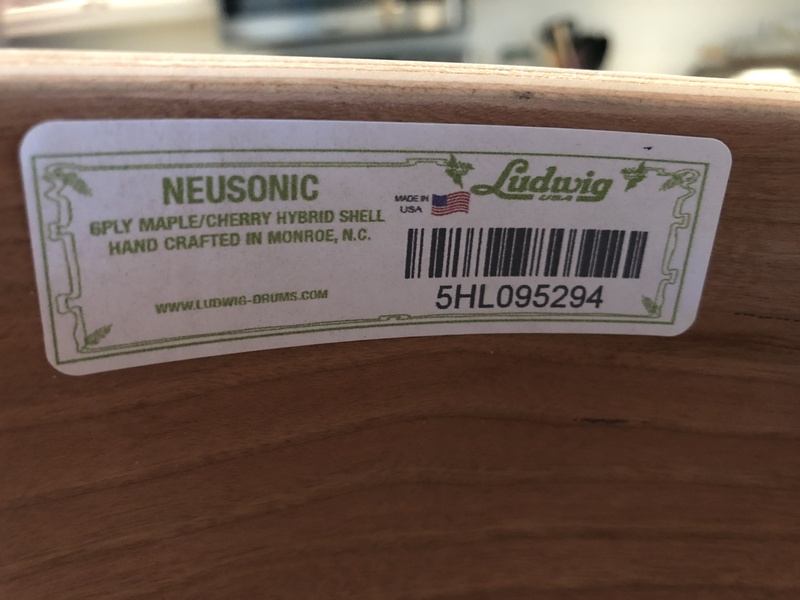 A Ludwig Neusonic cherry/maple kit, a Pearl birch Vision and a Sonor Force Bop kit made of poplar. 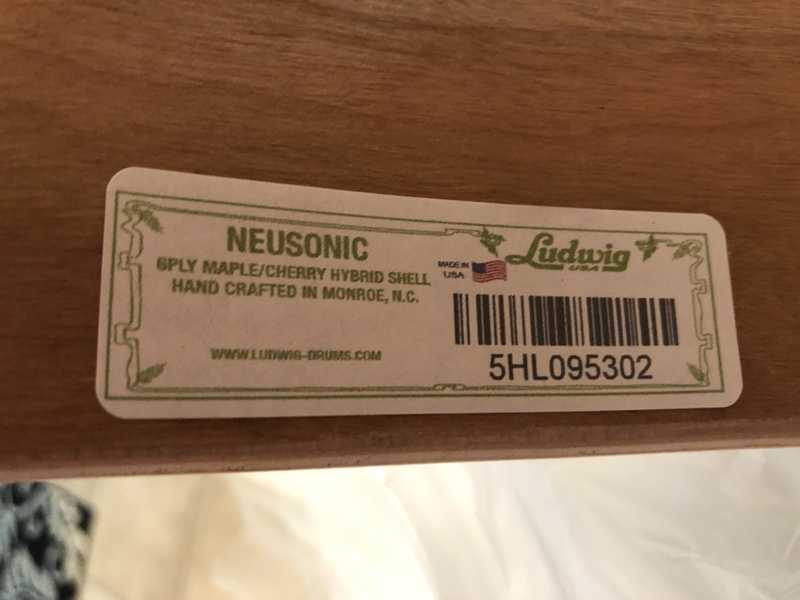 The Neusonic is my primary gigging kit, the Sonor is used for smaller, mainly acoustic shows with quieter groups such as The Po’ Boys, the Vision kit resides in my home studio. I love my Vision kit because of the warmth and pre-EQed sound of the birch shells, plus the value for dollar is unbeatable. 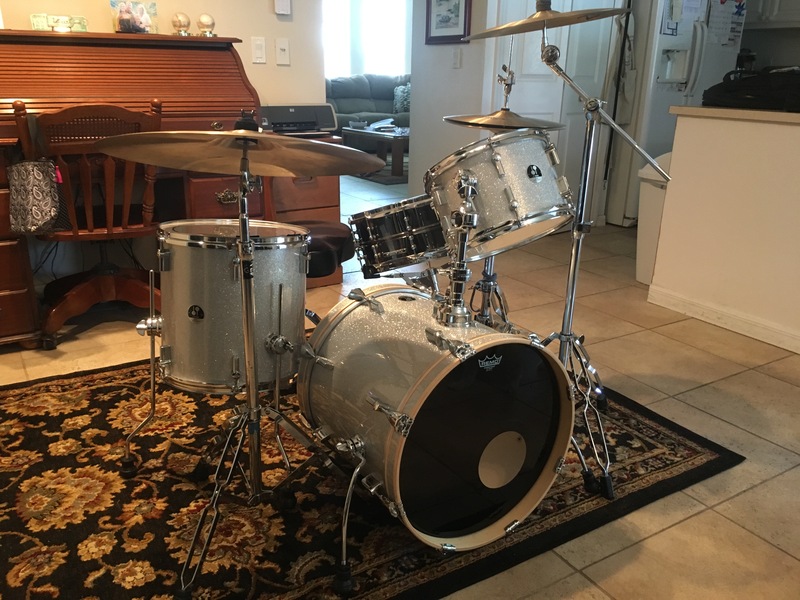 The Sonor kit is light weight and compact but serves up a big sound for the size. 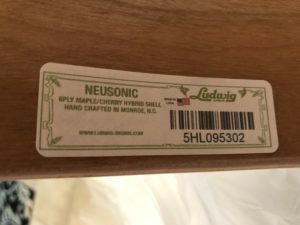 The Neusonic is my latest purchase and I could not be happier with it. 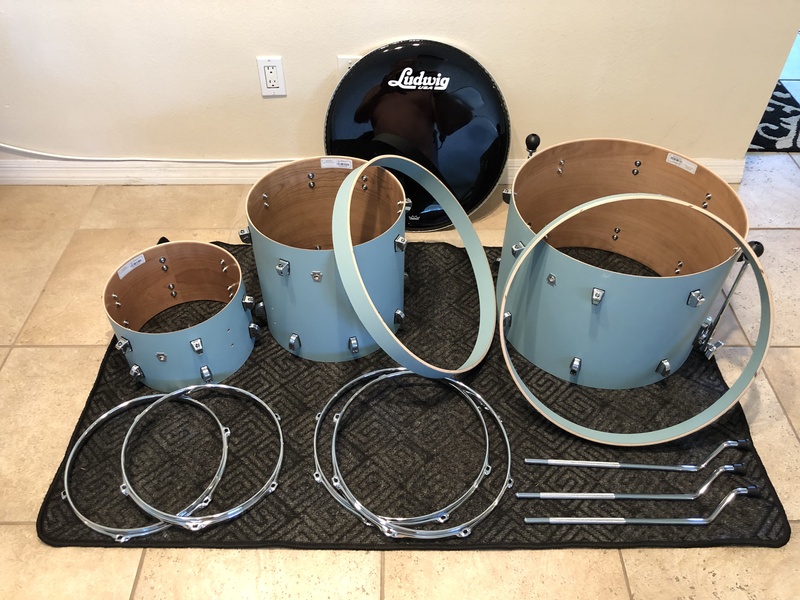 Below is my Ludwig Neusonic kit in Sky Blue. 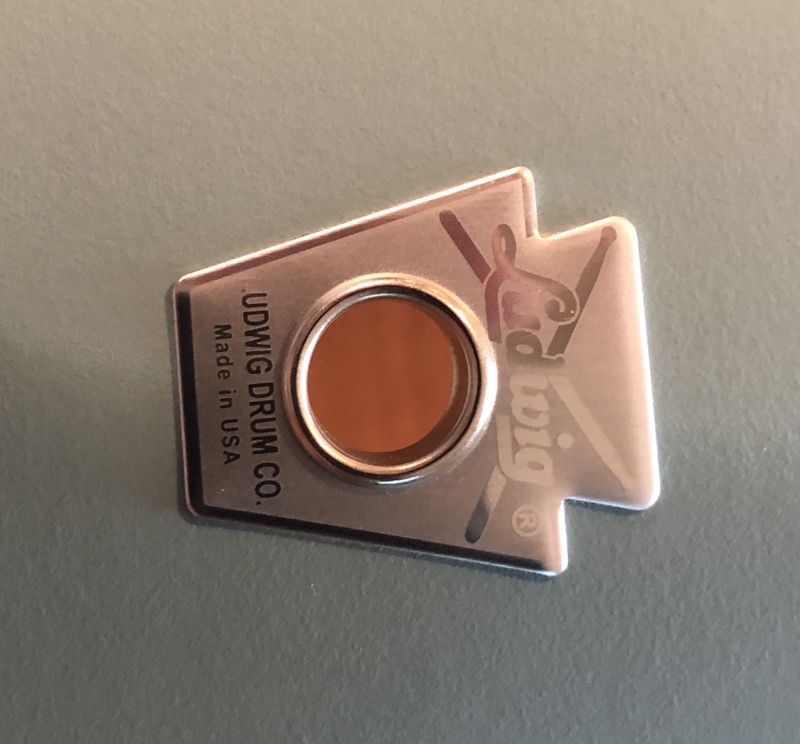 It is sized at 20″/12″/14″. 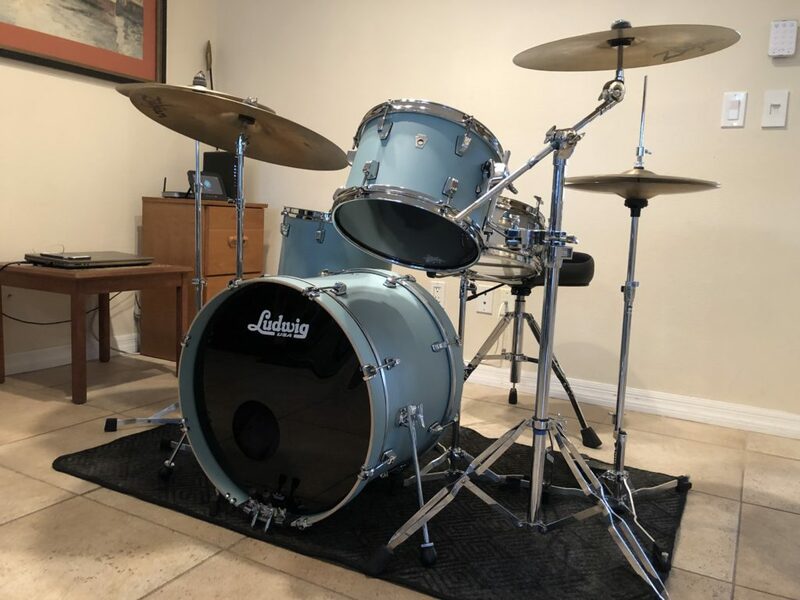 I also have a 16″ x 16″ floor tom on order with Ludwig. The waiting is killing me. 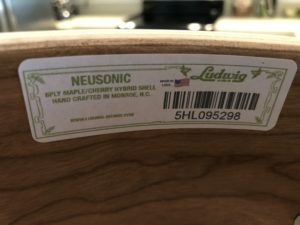 The Neusonic series of drums are 6 ply, three each of cherry and maple. 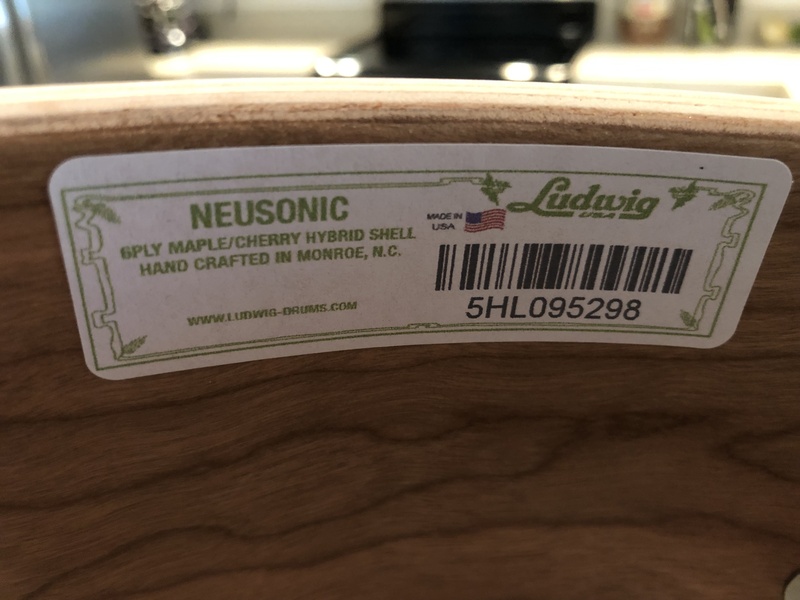 Made in the same molds as their Classic Maple series, the Neusonics are hand-built in the USA and feature many rugged qualities that make them an excellent choice for a working drummer such as myself. 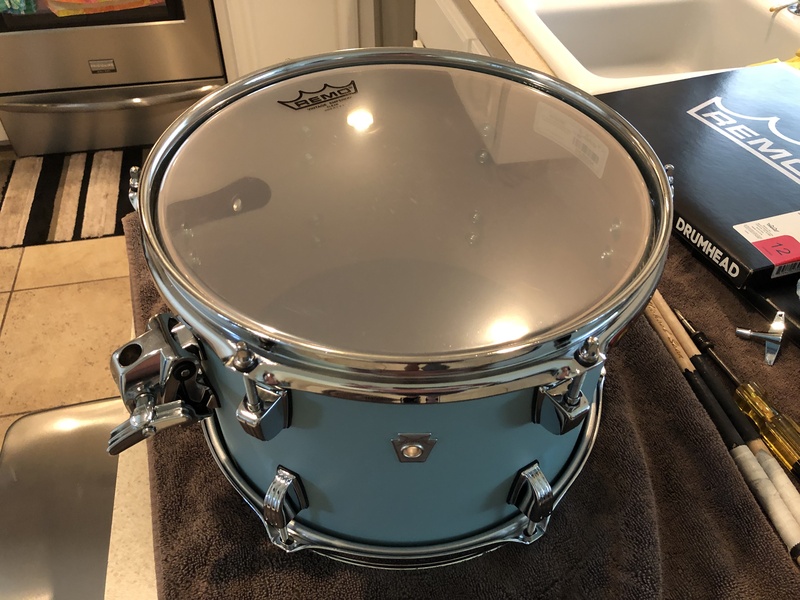 I run clear REMO Emperors on the tom batters, with clear Ambassadors on the resonant sides. A clear REMO Powerstroke 3 is on the kick. Like all of my other kits, I use but one “Ring Arrestor” on each tom for dampening. 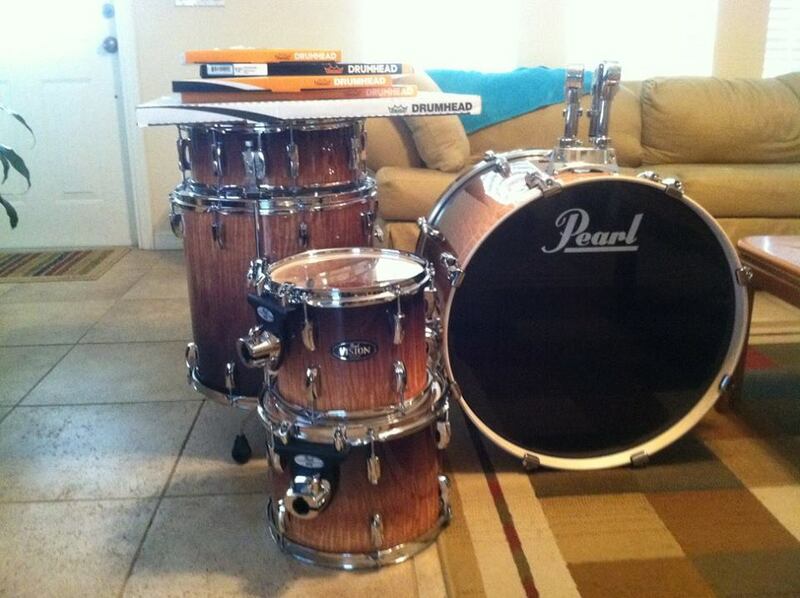 Below is my Pearl Vision Birch Eucalyptus Burst drum kit. This kit is in my studio and rarely leaves home. It is a “fusion” sized set (22, 10, 12, 16) and sounds wonderful, it requires very little dampening to sit great in a mix. In fact, I only use one “Ring Arrestor” on each tom to rid unwanted overtones. 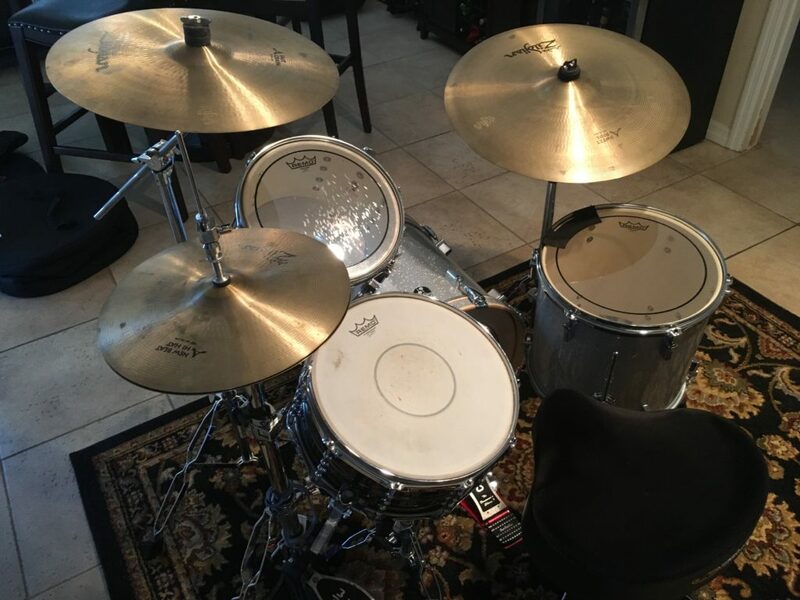 My Eucalyptus Burst kit the day I bought it. 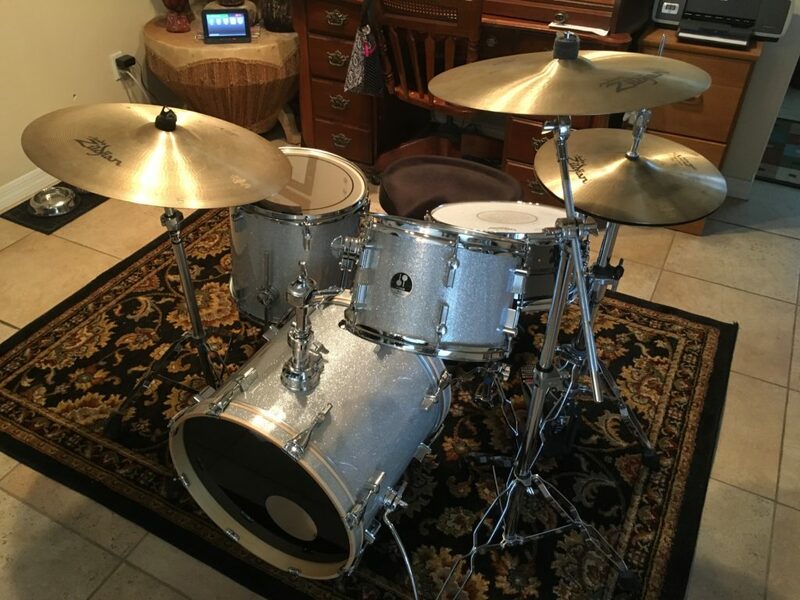 Below is my Sonor Force Bop kit in Galaxy Grey Sparkle. Poplar shells in Jazz sizes (18/12/14). 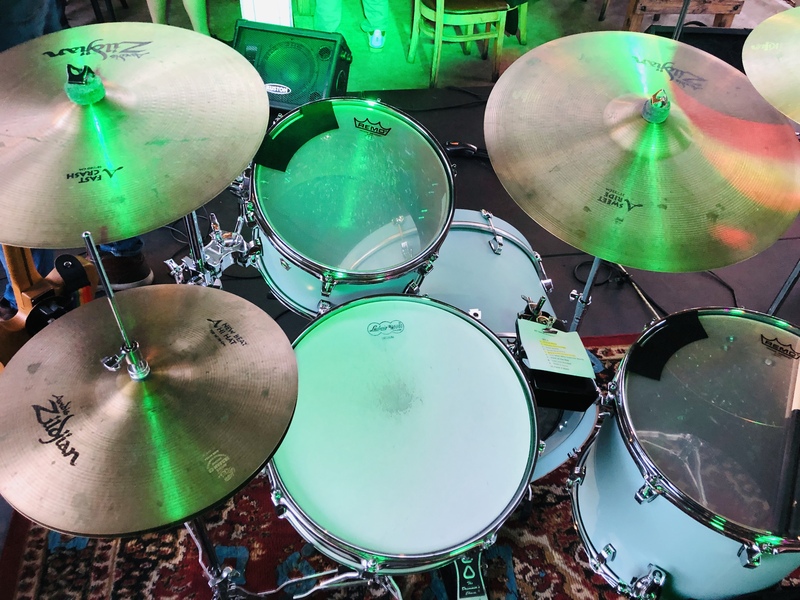 Just as on my Pearl Vision kit, I had been running REMO clear Pinstripe heads with Ring Arrestors on the toms and a REMO clear Power Stoke 3 on the kick, but I just recently moved to Ambassadors and Emperors on the toms. Just a great sounding little kit that I use surprisingly often and it didn’t cost a fortune. 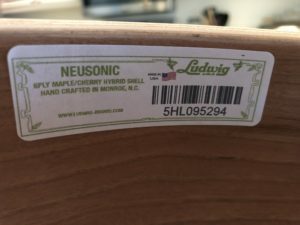 More proof that good quality heads and proper tuning will make almost any kit sound good.